The second call for proposals was open from 27 March, 2017 until 31 May, 2017. 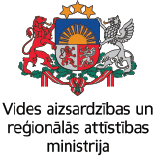 A total amount of maximum 18 673 300 euro is allocated for 48 cooperation project across four Interreg V-A Latvia-Lithuania Programme 2014 – 2020 priorities. These project applications were selected out of 123 projects that were submitted.